The Friends of Dunns Creek State Park are hosting a Spring Festival! Enjoy live entertainment, nature tours, boat rides, kayaking, equestrian trail rides, poker rides, camping and much more! There will also be free sack races, horseshoes and corn hole games for kids. Food will be available for purchase during the event. Take the opportunity to explore the 6,200 acres of natural communities at the park! Park entry is free for the event. Primitive camping is available on Friday and Saturday night. Camping is $10 per night; equestrian spots are limited to 50 for the event. A $10 donation per family is requested for all rides and tours and poker rides are $5 per hand. 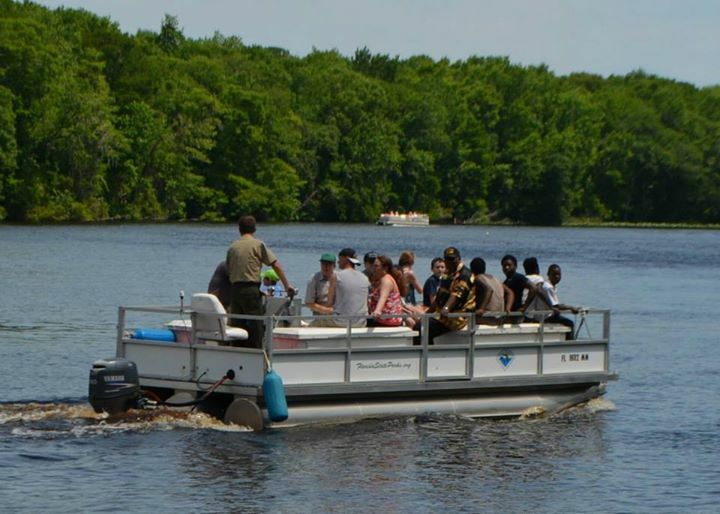 Camping fees and donations for tours and rides benefit the Friends of Dunns Creek State Park, who are dedicated to maintaining, improving and promoting the park. Campers can begin checking in on Friday at 12 p.m. and must check out by Sunday at 4 p.m. Camping is primitive, with no drinking water or electricity provided. Water is provided for horses only. Negative Coggins required. Children under 16 are required by state law to wear a helmet on bikes or horses. Pets are welcome and must be confined to a six foot leash or less at all times. Directions: The park entrance is located at 320 Sisco Road off Highway 17 near Pomona Park in Putnam County. Visitors will check-in at the front entrance of the park, which is under construction. Then, visitors will travel to the creek by car; four-wheel-drive is not necessary. Registration is not required, however, you can register early by visiting www.DunnsCreekSpringFestival.eventbrite.com. For more information please call the park office at (386) 329-3721 or email Kristine.Kastenbaum@dep.state.fl.us. For more about Dunns Creek State Park or Florida State Parks visit www.FloridaStateParks.org.